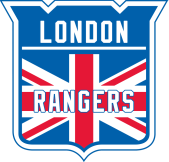 Since June 2012, the Rangers visit Latvia for their engagement with the Riga Cup. Comprised of 20 teams from 9 different countries, the Riga Cup offered the Rangers 3 days of solid hockey. The organisers love our team as they know we will perform at our best on and off the ice (we are 1st off ice every year).